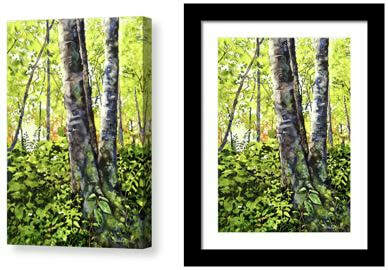 Painting Size: 9.5" x 14"
On a walk in a nearby park one early Summer day, I came across this grouping of trees surrounded by a lush carpet of foliage. What struck me about this scene was the beautiful moss growing on the trunk of the tree as well as the crisp sunlight that broke through the leaves, illuminating the scene. 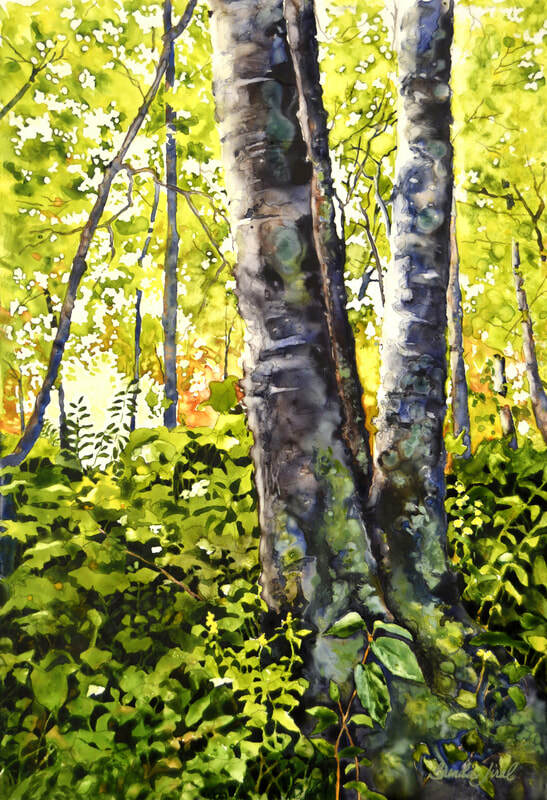 More than anything else, my aim in painting this was to capture the feeling of that day: the warmth of the sun and the peace and quiet of the forest on that beautiful Summer day. ​Prints starting at $27. Check out all of the available options ranging from framed prints, greeting cards, pillows, phone cases and more!